It was just reported that Greenland set a new all-time July cold record, where the mercury plummeted to -33°C. Read details here. 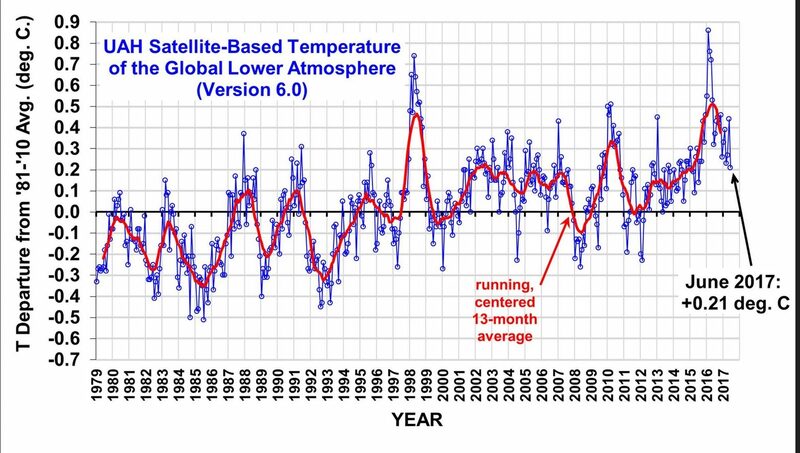 What follows are excerpts from the most recent analysis of global temperature at wobleibtdieglobaleerwaermung.wordpress.com. A Greenland record low shouldn’t come as a surprise since in the wake of the recent El Nino global temperatures measured by satellite now continue their freefall. UAH saw it’s lowest measurement in two years, with June coming in with an anomaly of 0.21°K, which was considerably lower than the 0.45°C anomaly recorded in May. 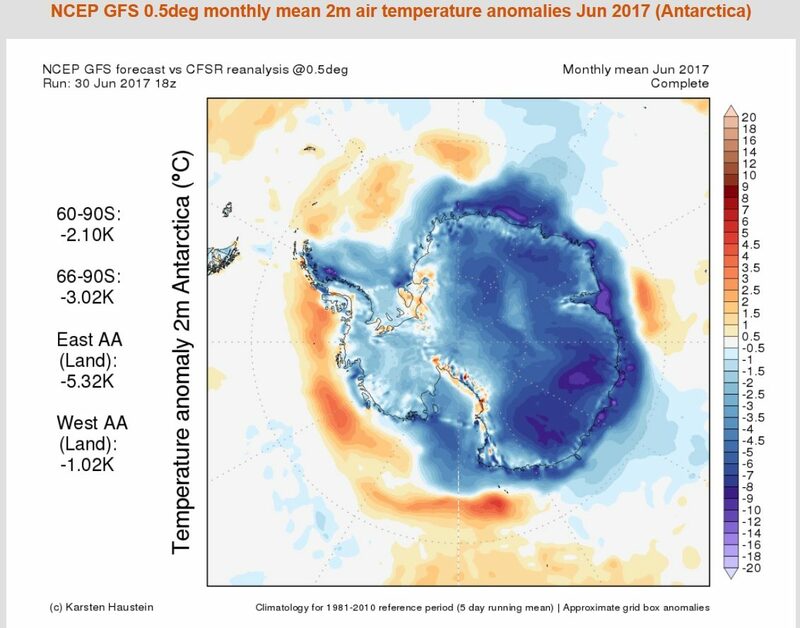 A reanalysis of the WMO 1981-2010 2mtemperature anomaly for June, 2017, shows widespread Antarctic cooling. 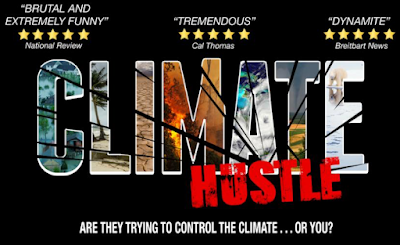 Source: www.karstenhaustein.com/climate.php. Global temperature anomaly of the lower troposphere at 1500 meters since early 2016, measured by RSS. Source: www.woodfortrees.org/2016/to:2017.5/trend. 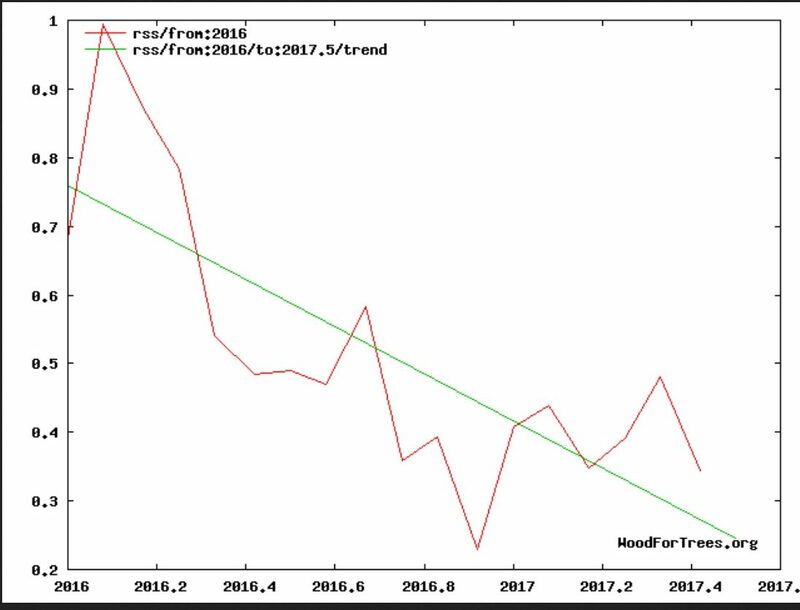 As RSS temperature continues its retreat from the natural ENSO-caused spike, the warming hiatus will resume and extend. By the end of this year, the hiatus will reach 20 years. Source: www.woodfortrees.org/from:1997.7/to:2016.08/trend. Another interesting pint is that mid troposphere temperatures also fell sharply over June and are at the lower range of the spectrum seen over the past 16 years. Plot of the UAH-AMSU temperatures at the middle troposphere, 400 hPA (approx. 7.5 km altitude), from January 2002 to July 2017. Source: https://ghrc.nsstc.nasa.gov/amsutemps/. 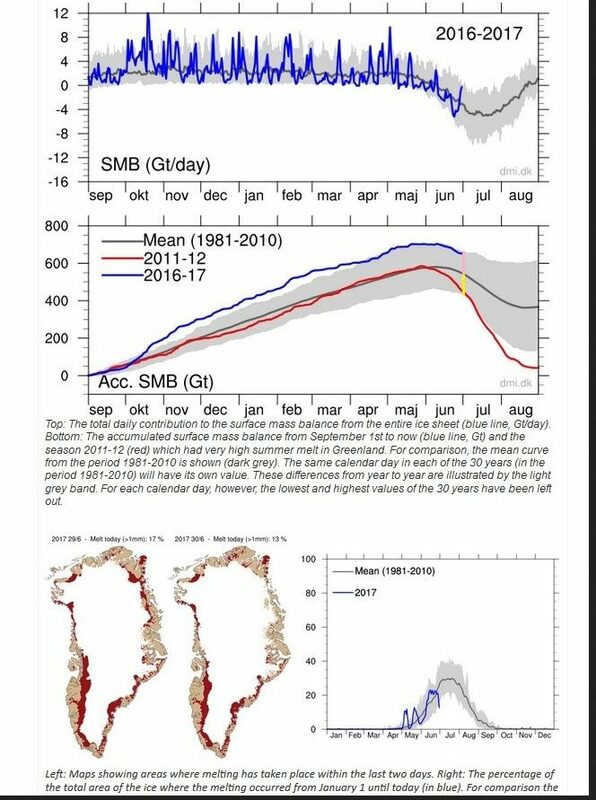 Greenland surface ice mass balance has also reached a record high, defying the often heard claims that it’s melting. Greenland’s ice mass so far is showing a surplus of some 700 billion tonnes – a record! Arctic sea ice has also surprised many experts, who previously had been predicting record lows, or even its outright disappearance. 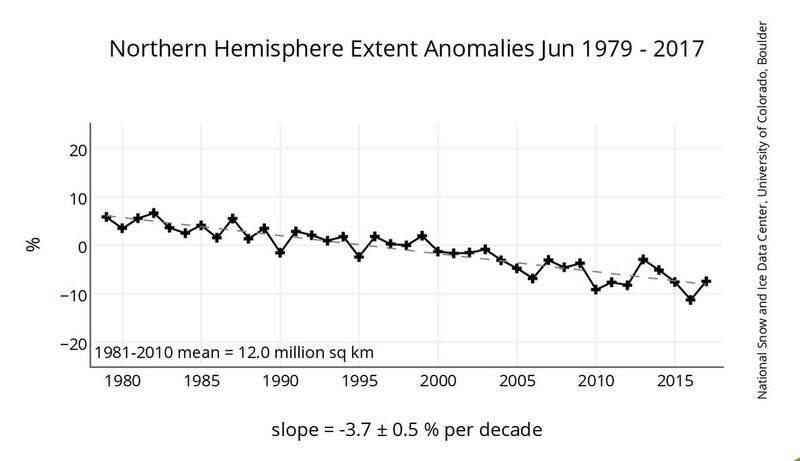 Ironically Arctic sea ice has shown a record May-to-May growth from 2016 to 2017. It was the strongest growth for that period since measurements began in 1979. 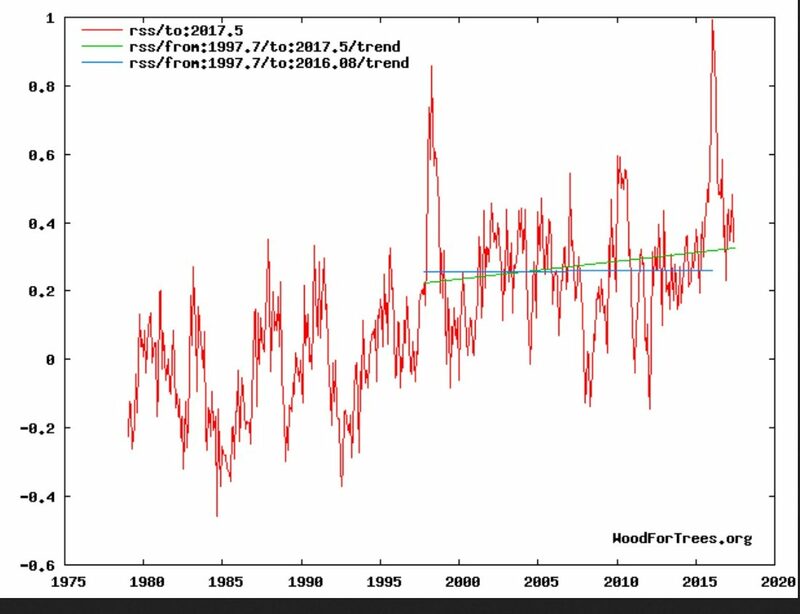 There has also been a sharp drop in troposphere temperatures above the oceans, which explain the global temperatures. Ocean cycles in large part drive the global temperature over year and decadal scales. Last month they fell to just 0.09°K above the WMO 1981-2010 mean, falling from 0.29°C a month earlier. 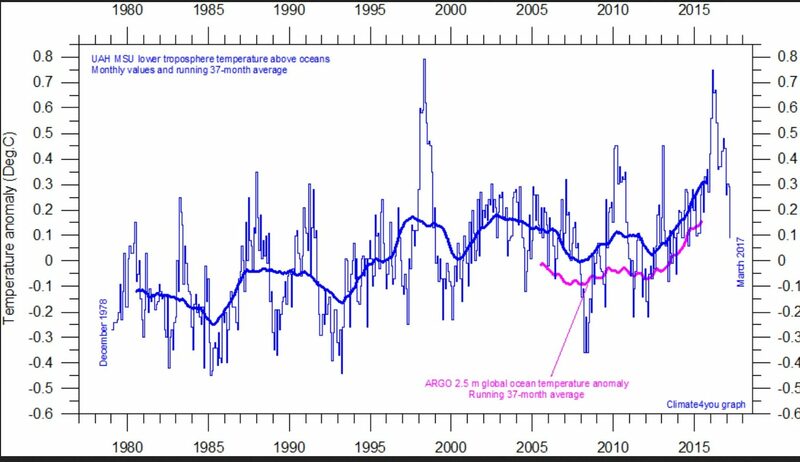 Ocean cycles driving global temperature, not trace gas CO2. Source: www.climate4you.com/ here: Sea surface temperature estimates: UAH. 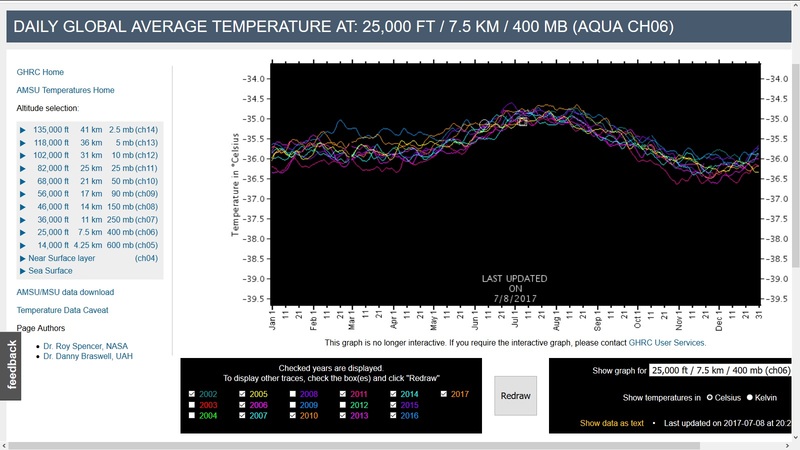 RSS also shows a similar drop in temperature above the world’s oceans, with the anomaly falling from 0.38°K to 0.18°K.